Legitimate Blogs - A Dying Breed? This blog was started as a convenience to me so I could stop hunting through my sent items folder and forwarding friends the same emails over and over again. I never intended for it to become a second job or something that would attract millions of readers. It just happened. Along the way when I found myself working from 10:00 PM - 4:00 AM+ Sunday through Thursday's to cover the topics my readers asked to write about, I realized that there should be something in it for me. As a result, ronmart.blogspot.com - the email archive - became ronmartblog.com - the online review business. My goals shifted from simply writing about whatever came to mind to focusing on articles that would likely yield a return on my time investment. During this transition I still kept to one principle - this blog would be different than most review sites in that it couldn't be bought and paid for. As a result, I resisted accepting advertising and instead rewarded products that I loved with free banner space. I resisted sponsored articles by giving the constant requests a price I knew they'd reject to make them go away for good. I resisted fake guest bloggers who wanted to write about unrelated topics just to boost their own sites, despite the fact that their presence could help push me higher in Google page rankings. Simply put - I dismissed the games that many other sites played, and focused on only two mechanisms for income as a way to compensate my family for the grumpy guy that I'd become from lack of sleep. I accepted donations and I leveraged referrals as a mechanism to get compensated when my readers purchased products that I recommended. I thought this was fair, and despite the fact that nearly EVERY site on the web also does this - I disclosed that I was doing this. When the holiday seasons sales would come around, I started by sharing deals because I wanted my friends to know about the deals that I honestly thought were worth sharing. However, I got flooded with requests to post deal offers and eventually became so disgusted with it that I moved to a mostly opt-in model with my deals newsletter. I got sick of the blog being a deals billboard, so I only used the blog occasionally for special deals that I felt good about posting - for my friends - and left the rest (which still about 1% of the deals I get daily in email) to my newsletter. By not spamming you with deals, by not taking sponsored articles, and by not taking paid advertising - I lost a ton of potential earnings (to the tune of $50k+ per month from some single advertisers alone) and I lost a lot of web traffic and subsequently Google page ranking. However, I think I won because I stuck to my principles and remained a legitimate blog - not a bought and paid for snake oil salesman - despite being sometimes accused of being just that. For this holiday season I once again find myself with a dilemma - sacrifice thousands in earnings to keep my blog clean of more holiday sales crap, or join the crowd to avoid being assimilated. My regular readers have probably noticed that I don't write like I used to anymore as I decided to sleep again after the birth of my daughter, Ara, in October 2015. I've returned to writing only about stuff for fun and mostly given up my second business - despite being a father of 4 and single breadwinner who certainly could use the extra income. This was an unplanned article that was written out of disgust of all of the holiday sales spam that I get bombarded with. While I hope people have noticed that I've been refraining from those types of activities this year, odds are you haven't given it a seconds thought. As a result, I'm pointing it out so you can take a moment to think about which blogs and influencers you can trust this holiday season and which ones are simply out to make a buck. I wish all my remaining faithful readers a safe and happy holiday season. 7fps burst shooting - great for action photography, the newest EXPEED 5 high performance image processor which should handle the increased megapixels while still retaining the fast write speed. video, it has 4K/30p or 1080/120p slow-motion capabilities while still retaining high performance. All in all a very impressive beast of a DSLR camera. 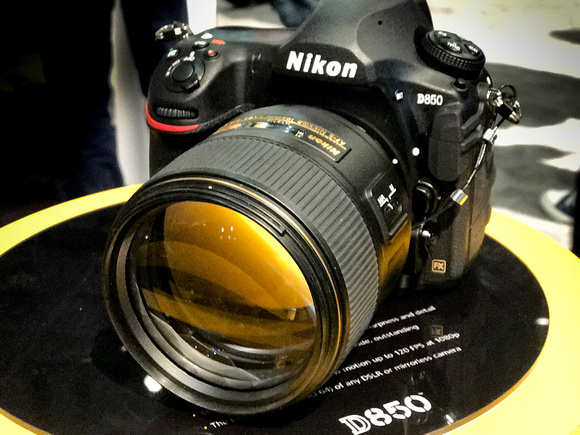 Click here to see Ron's Review of the Nikon D850. 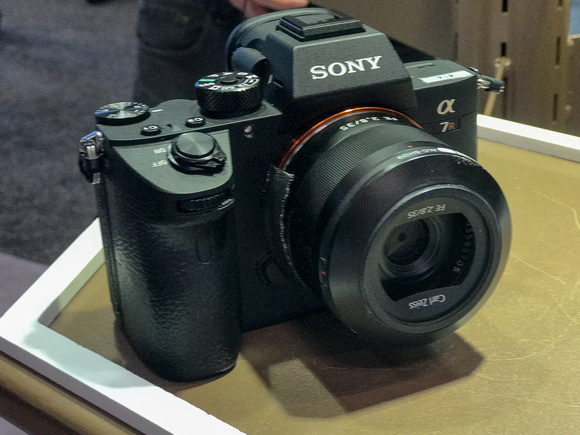 Sony ‘s A7 series has been on top of the mirror less camera game and the new Sony A7Riii doesn't disappoint. As an owner of a now older model Sony A7Rii, I couldn’t wait to play around with the next iteration and boy was it awesome. 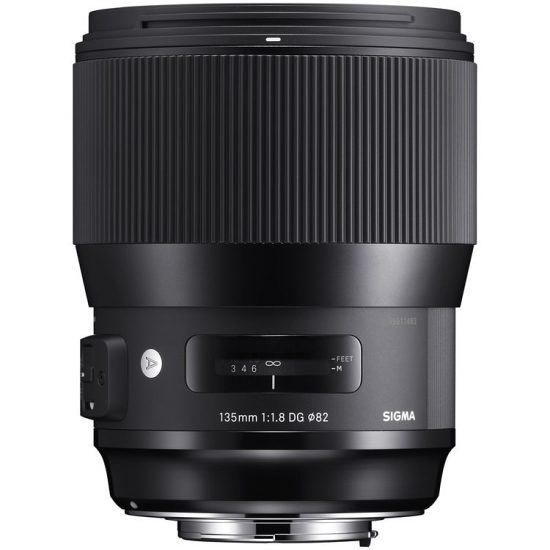 Sony has made a multitude of improvements - much better focusing, 10 fps continuous shooting not to mention the 15 EV dynamic range that rivals that of Nikon’s D850. A7Riii also comes with a Pixel Shift Multi Shooting mode which produces very high detail raw files. Not going to lie, I walked away thinking Ill be upgrading soon. Click here to learn more at B&H. every stop of light makes a huge difference in producing the best images when shooting at night. are a portrait photographer, you definitely want to check this one out! Click here for Ron's Review. 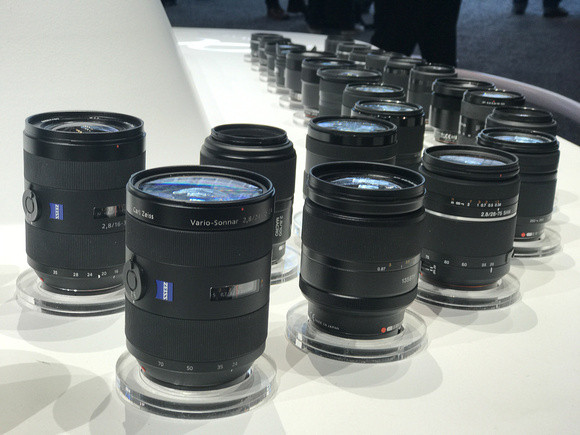 so it’s exciting for the company to be releasing more autofocus ones like the new AF 35mm f/1.4 FE . sporting an A7 series body from Sony and would be great for either portrait, landscape or astrophotography! 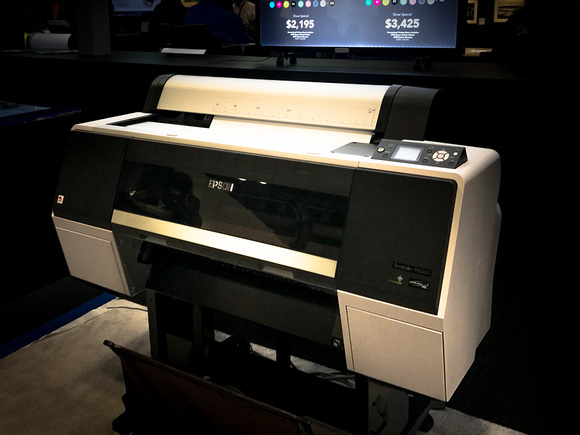 Speaking of printing your work – check out this beast of a printer from Epson. away. Not for those on a shoe string budget, but worth the money for a serious professional. I'd like to thank Natalia for covering for me in New York this year. While I was too busy to make it, I was fortunate enough to have already reviewed a couple big products that headlined the show. I've also got the Sony A7RIII in the pipeline for review, so it looks like I'll be featuring the best of the show here after all! Enjoy these and more on the Reviews tab as well as Ron's Recommendations. If you read my blog over the last year or two, you'd know that I was a fan of Perfectly Clear by Athentech because it really was a one-click photo editing tool. With 3.0 the user interface got much better and with version 3.5 it hits a home run! The stand-alone features a raw editor that gets the job done, but I'll admit that it's not as good as other products out there. 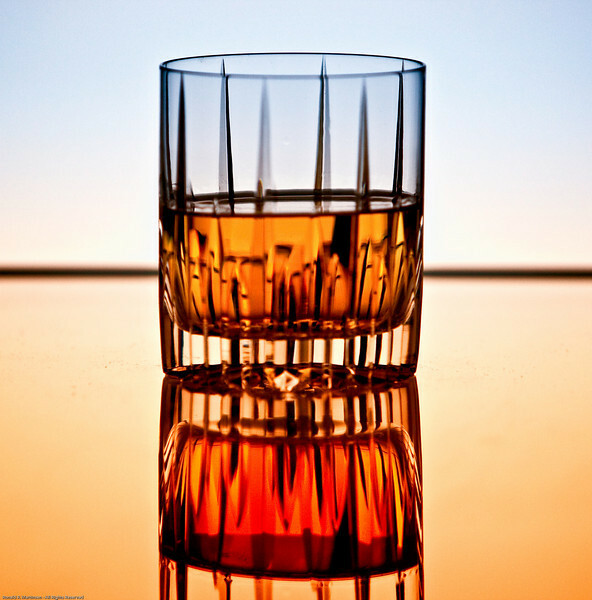 However, if you want a one product photo editing workflow, it gets the job done. In the stand-alone version you can easily crop with some great overlay choices including the rule of thirds and the golden ratio. Even better, you can apply a look on top of your preset to get two layers of editing in just two quick clicks. What's more, you can dial down the look directly from the window using the opacity slider. Existing v3.0 owners get a free upgrade using AppsManager! Get my regular 10% discount on version 3.5 when you CLICK HERE. Please note that coupon codes can change so visit my discount coupon code page or contact me if you have any problems with my code. This product has come such a long way and gets better and better with each version. I was expecting a small update with v3.5, but instead I was extremely impressed with all of the enhancements. 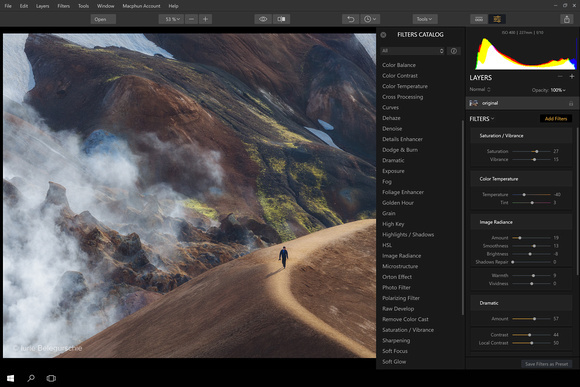 For users of Photoshop and Lightroom, you can still integrate it in as the first and/or last step of your photo editing workflow. For those who want a single solution, it is fantastic as a stand-alone solution that allows for blazing fast one click edits of your images. 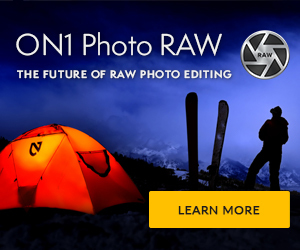 First Look: on1 Photo RAW 2018 - The Best HDR & Pano Editor Yet? Sadly, this video doesn't do it justice because it kinda ends up with an image that doesn't look so hot. However, the image shown at the top of the article features one that I processed using HDR only (no presets) for very fast and realistic results. Maybe this is old news to you pano experts out there, but if you are like me and wondered how you could do this - this is it! Pretty sweet! I never quite got the hang of the chisel tool in the past, but this video here gave me one of those chimpanzee moments (you know, ooh, ooh) and I immediately wanted to go try it out. I was unhappy with on1 products for a few years, so I stopped covering them on my blog. I was frustrated with them crashing, features I loved being removed, and something that remained being uninteresting to me. With the 2017 version I got interested again, but I found myself mostly using it for Resize and not much else. However, I've spent some time this evening playing with the new features and rediscovering this product again, and I like what I see. At a minimum I'd encourage existing on1 fans to check it out as I think it's a worthy upgrade. For those who have been burned in the past, I'd suggest giving it another go as the setup seems to do a good job of installing things in cleanly without any headaches. When trying out the product, I hit one snag when I selected corrupt iPhone 7 file on my NAS, but other than that it was rock solid. It feels like some of the quality issues that plagued on1 in the past have been sorted, and more compelling features have been brought back to make it something worth considering again. Contact me to let me know your thoughts! CLICK HERE to learn more and take it for a spin. If you like it, then try out the MART17 coupon code to get a 20% discount off your order. Contact me if you have any troubles with the special offer. Check out the Reviews tab as well as Ron's Recommendations. I've owned the first version of the Meural Digital Canvas photo frame for over a year and I've been loving every minute of it. There's not a day that goes by that I don't spend a few minutes enjoying watching some of my favorite photos displayed on it as I stare at it from my dinner table. My friends, family, and yes - even my teenage kids - all have gushed over how cool our frame is, so when the folks at Meural told me that I could review the latest and greatest version, I was all over it! This is my first impressions, but I'll be doing a more comprehensive review very soon. For this one I thought I'd start with the packaging, as there's been a big upgrade there that makes this product feel more polished and professional versus something that comes from a startup. Just check out the cool packaging which illustrates one of the great features about this product - you can not only show your own photos - but a galleries of other flavors of fine art. When I got my first frame, I wasn't so sure about why I would ever want to show other people's art, but after exploring the available content I found myself adding a couple dozen photos. In fact, my oldest son loved some of those photos so much that he went on a trip to Norway to try to locate some of the places featured on my frame and was thrilled to see them in real life! I hate unboxing videos, so I thought I'd cut to the chase and just show you some quick pics. I don't usually do this, but I know I was worried about my frame getting damaged in shipment. I thought this could be a useful article to show just how well it is packed for those who had doubts about its safety when ordering online. As you can see the frame is very well protected and arrived in perfect condition to my house near Seattle even though it had been shipped from New York. I was pleased to see the protective cover and despite the cool temperatures it arrived with no issues. To be fair, I did let it acclimate to my house for 8 hours before opening just to make sure there was no condensation issues. The mounting hardware was secured with tape (removed here) but I have what I need to hang my frame securely in the sheetrock. I didn't hang my first frame because it just rested nicely in my TV alcove and I used a couple big crystal trophies to hold it secure in place (not recommended). On the back side frame, the cleat mounts are much more polished (literally) and there's better frame ventilation (although my v1 never had and heat issues). There's also a big purple port to accept the power with space to coil up extra slack from the power cable if you don't need to extend it. If you own an existing Meural frame, then you can see the new software. However, if you don't then it's evolved a lot since my original review. It's a lot more robust and user friend with support to features available both on the website AND phone. I'll cover this more in my review, but I wanted a quick mention to let people know that the software that was the Achilles heal of the original models, is now working well and all the bugs are worked out. Everything just worked out of the box and felt very much like my original frame which is a good thing, since I liked it quite a bit. The quality of the black frame is very different. It has more of a bevel to it, but it seems more manufactured than the wood of the first version. I can't say that is a good or a bad thing - it's just different. Overall, this frame looks more commercial whereas the first version felt more hand made. However, from a distance they both look very similar and quite good. The power cord cable is MUCH improved and significantly longer than the one I got with my review unit for the first version. There's also multiple adapters for different regions, but the one right out of the box worked fine in the US. Usability wise, it felt like the much improved iOS app was more responsive with this frame than the first version, but otherwise the only noticeable improvements were a better onboarding experience than when I last did this > 14 months ago. So far it's been working great and not really a huge difference than my first one, but that's a good thing because the firmware and software of my first one have been updated to make it act the same as this one. My only gripe has been that he gesture feedback often leaves me giving the frame a middle finger gesture, as it just doesn't work very reliably. However, the phone allows you to do everything you need so I just use it instead as I've done with the first version of the frame. The biggest improvement seems to be support for auto rotation, but that's not something I find very practical as I plan on putting it up one way and leaving it like that forever. In fact, I'm considering leaving this one in portrait orientation while I leave my old one in landscape. Simply put, this is pretty much everything I liked about the first one but with a lot more spit and polish. It feels more like a mass distributed product rather than a one off, but still looks way better than any other digital frames I've ever used. Definitely put this on your short list for holiday gifting as the image quality is fantastic and the ease of use via the phone app and web site make it very serviceable remotely after you get it set up initially. For my v1 the only glitch was the need to occasionally unplug and re-plug it to reboot it to get it back on my network again, but I haven't had this one long enough to see if that issue still exists. Click here to see my full review. I'm happy to announce that my friends at Skylum (formerly known as Macphun) have released Luminar 2018. 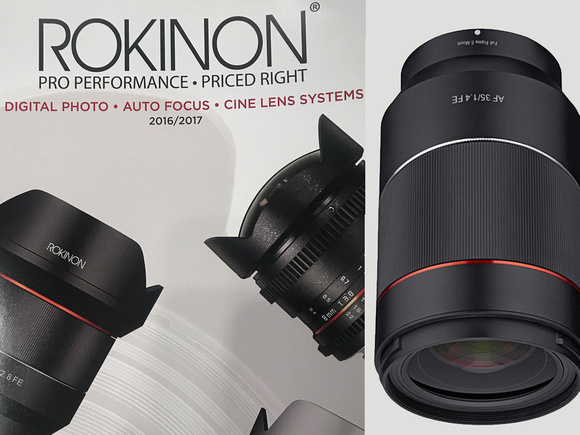 This product has quickly become one of the hottest photo editing products and is hailed by many as the replacement for the Nik Collection. To see what's new or pre-order please click the link below. You can also see what's see my Luminar for Windows Open Beta Review for some of the things you can do, but the final version is much more polished. I'll be doing my full review later in November. Again, my review for this product will come out later in November. This offer does not apply to pre-release products until after they are released, so Luminar is excluded at this time. Sylum (formerly Macphun) is getting serious about bringing fast and easy to use products to market. While there's still some rough edges I'd like to see addressed, and improvements needed to get full parity of the WIndows versions vs the Mac versions, they have great presets that are fast and easy to use. It's also pretty cheap to own so it's definitely worth your time to check out the free trial.